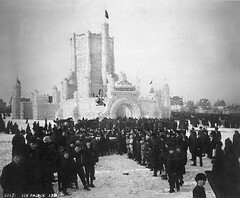 This year marks the 125th anniversary of the St. Paul Winter Carnival. According to Dave Kenney in his book Twin Cities Album: A Visual History, the event grew out of a “sibling rivalry” between Minneapolis and St. Paul in the 1880s. For more historical images and videos from the St. Paul Winter carnival, visit the MHS Winter Carnival page. There has been a lot of traditional and social media about the importance of bookstores, with many stories focusing on the local independents. 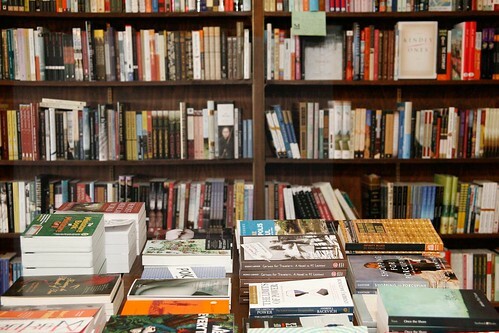 We know many of our readers fervently support bookstores throughout Minnesota, relying on in-store booksellers and the curated spaces of bricks-and-mortar stores to guide them into magical worlds of reading. We do, too! One of the Twin Cities gems is Micawber’s, “Everyone’s Neighborhood Bookstore,” in St. Paul’s St Anthony Park neighborhood. If you simply can’t get out to the store as often as you might, at least check out the store’s blog, “Mr. Micawber Enters the Internets,” where this week Hans celebrates the people behind the scenes who help keep the store running in a post called, “What Makes a Bookstore Go?” We join Micawber’s in saluting those who keep us in this business of publishing . Happy New Year in the Library! With a grateful shout-out to all our authors, all our authors-to-be, and all the librarians who help them research terrific Minnesota history, here’s an end-of-year treat: Study like a Scholar, Scholar, and have a very Happy New Year!